The debate over federal curbs on surprise medical bills has it all: inter-industry finger-pointing, slippery-slope warnings about rate-setting and dueling narratives about what the problem is. Last week President Donald Trump invited people who have been hit with surprise bills to the White House, where he vowed to end the practice that puts patients on the hook for the often exorbitant price tag of out-of-network treatment. The issue is a political winner. Senate offices are wrangling over the legislative mechanics of tackling surprise bills, and insurers and providers are clashing over who needs to concede more. Insurers frame the problem as one of surprise medical billing; providers as surprise gaps in coverage. "I think there's intense fighting on the mechanics of the surprise billing legislation," said one analyst close to discussions who spoke on condition of anonymity. "Everyone agrees consumers should be held harmless, but the huge fight is over payment situation between insurer and provider." Sen. Bill Cassidy (R-La.) who launched the surprise billing discussion last September with a bipartisan draft bill, and Sen. Maggie Hassan (D-N.H.) have been talking with one another and working on their separate proposals, but don't yet have an estimated date to release new versions. Both proposals require industry to leave the out-of-network patients alone. Patients would only have to pay the co-pays set by their insurance plans. Cassidy's draft would cap the charges for an out-of-network treatment at 125% of the median regional rate for the same service. Hassan's proposal would leverage independent arbitration to resolve final payment disputes between the provider and insurer. The arbiter would look at Medicare and current network rates as the benchmark rather than the provider charges. But some policy analysts think the two proposals are two sides of the same coin, as the government and arbitrators' ultimate pricing would likely be similar. "It's not like they have more information, although maybe they have more flexibility to deal with outlier," said Loren Adler of the Brookings Institution in Washington. "But there's nothing magical to arbitration other than maybe it's more politically palatable." That's not how the healthcare industry sees it. Insurers are fighting the arbitration proposal, arguing the process could be costly and long. "For the vast majority of payments, it would be better to use some other type of benchmark, one that is set at where hospitals would be paid if they're in network facilities rather than have everything resort to arbitration," said Kris Haltmeyer of the Blue Cross and Blue Shield Association. Specialty physicians, like emergency doctors and anesthesiologists who play leading roles in the debate because they sometimes offer patients out-of-network care at in-network facilities, see arbitration as their best option. "When certain services are offered, insurers don't always play fair," said Dr. Michael Simon, an anesthesiologist who spoke on behalf of the American Society of Anesthesiologists. "There should be some sort of arbitration mechanism when one or both sides don't play fair." Providers are quick to argue that capped charges in this context could lead to a much broader rate-setting system insurers could game by further shrinking their provider networks. Molly Smith, vice president for coverage and state issues at the American Hospital Association, said the trend in health plans that use a reference-based pricing model instead of contracted networks supports this potential outcome. "I'm generally not prone to slippery-slope arguments, but the fact we're seeing real growth in no network plans is evidence there is growing interest from insurers and out of network insurers in this model," she said. Cassidy acknowledged the squeeze from both sides. "I think everybody recognizes that rate setting has a two-edged sword — that if done poorly one group might use it as a ceiling and the other as a floor," he told Modern Healthcare earlier this month. "Everybody is trying to avoid that, and come to something that works." New York's balance billing law was an industry compromise and since it has been in place since 2014 some stakeholders view it as a potential federal model. The state uses an arbitration system that defaults to a regional payment standard as a guide. But the system may not work for patients in the long run, according to Adler. 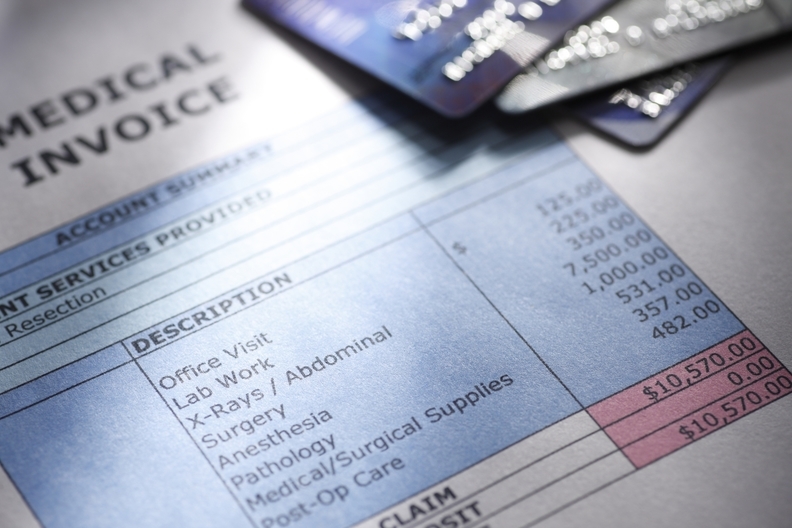 His analysis determined the median regional payment rate could translate into roughly 400% of Medicare for emergency physicians, and higher than that for anesthesiologists. "The risk is that you tie it to provider charges, a rate that providers pull out of a hat with no counterveiling force," Adler said. This could incentivize hospitals to raise rates over time, he added. "Then you are solving one problem while creating a new one and forcing inflationary pressure into premiums," he said. The not-for-profit FAIR Health, which publishes regional benchmarks for in-network rates negotiated between providers and insurance plans, found that median Medicare rates are much lower — with the average around 210% of Medicare for emergency services and 247% of Medicare for anesthesia. So far, New York's system hasn't increased charges or premiums, according to Simon, who represents the anesthesiologists. He said FAIR Health's index helps to normalize charges and eliminate high and low outliers. "It's important to understand that we are always looking for a solution that is a fair balanced rate of reimbursement that is fair to providers and insurers, not taking advantage of other side — especially with federal legislation," Simon said. Adler acknowledged the political battle ahead with independently-contracting specialists. "They have a lucrative out of network billing option unavailable to any other specialty," he said. "You have to compensate them to forego that." While Cassidy and Hassan have not put a timeline on the next draft, one analyst close to talks hopes to see a fresh take as soon as next month. "They're at the table," Cassidy said of industry groups. "They recognize that something has to be done, that the American people are kind of pounding the table, and that their representatives are listening." There's a third option hospitals are floating, according to Smith, who has monitored the issue at the state level for the American Hospital Association. They are considering a policy where federal law would hold the patient harmless but leave it to the providers and insurers to hammer out the details for the rest. "We think a legitimate question is whether policymakers need to weigh in on how to resolve a dispute," Smith said. Correction: An earlier version of this story did not include FAIR Health's estimates for the benchmark rates. This story has been corrected to include this data.